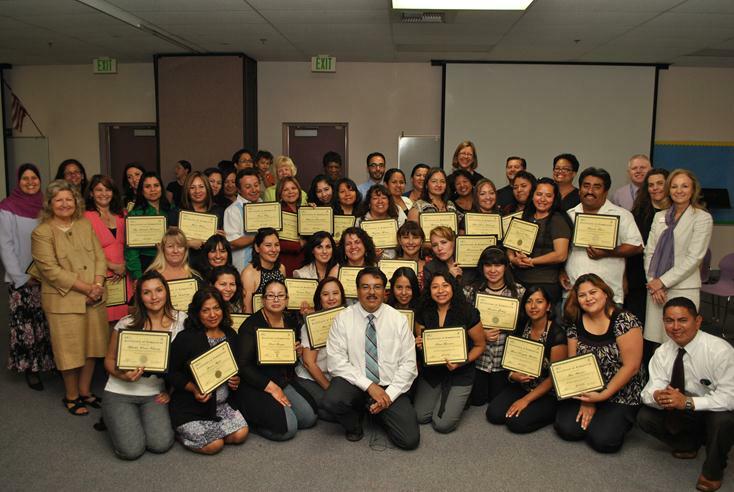 PALMDALE – The South Antelope Valley Education Foundation and the Palmdale, Keppel, and Westside school districts honored forty-three parents of middle school students who completed the twelve week Project 2-Inspire program presented by the California Association for Bilingual Education, (CABE.) School and district administrators joined parents and their families in the celebration held at the Pueblo Learning Center in Palmdale on June 8, 2012. The CABE Project 2-Inspire Program is a research-based family, school, and community engagement program that builds the capacity of schools to meaningfully engage parents in their children’s education with the outcome being increased student achievement. The Project 2-Inspire staff worked with this cohort of parents to increase their knowledge about schooling to ensure that parents have vital information about high quality educational options for their children, especially those traditionally underserved and/or attending program improvement schools. The parents worked collaboratively to define their role in their children’s education, to learn how to work with the information learned, and to further develop and refine parent leadership skills to ensure their meaningful participation and collaboration as part of the school community. The parents who attended the Project 2-Inspire Parent Academy were identified by their principals as parent leaders at their children’s school and were invited to participate. 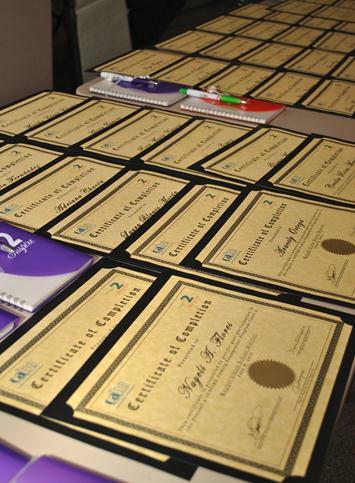 Each parent signed a commitment to complete the twelve week academy. Principals and teachers from the participating schools were encouraged to participate in the program so they would know what the parents are learning and work together as a team on the program to effectively engage parents and raise student achievement at each school. The Project was funded through the South Antelope Valley Education (SAVE) Foundation. The South Antelope Valley Education Foundation is comprised of Hughes Elizabeth Lakes Union, Keppel Union, Palmdale and Westside Union School Districts. Their mission is to promote the education and personal growth of children through financial support and community involvement specific to the needs of each member district. The Foundation received a grant from United Way of Greater Los Angeles to fund the project. 2 comments for "43 parents honored in Project 2-Inspire program"
This is very good news, indeed. Thanks to those who have invested in the lives of future leaders and good citizens of this country. Congrat’s to all the Parent Leaders for making a difference in your children and our community, your children are very fortunate!